Equipo Nizkor - An alleged 'agent' of Iran transferred from Guantanamo to the UAE. On Aug. 15, the Pentagon announced the transfer of 15 Guantanamo detainees to the United Arab Emirates (UAE). Twelve of the men are Yemenis and the remaining three are citizens of Afghanistan. The leaked Joint Task Force - Guantanamo (JTF-GTMO) dossier for one of the Afghans, Haji Hamidullah, contains intelligence connecting the Iranian and Pakistani intelligence services to the insurgency in Afghanistan. The intelligence reports cited by JTF-GTMO paint a complex picture of the insurgency, tying together various actors all opposed to the American presence. The Long War Journal first profiled Hamidullah, relying on the allegations in the leaked JTF-GTMO threat assessment, in 2011. In its threat assessment, dated Apr. 23, 2008, JTF-GTMO deemed Hamidullah to be a "HIGH risk, as he is likely to pose a threat to the US, its interests and allies." JTF-GTMO recommended that Hamidullah be retained in the Department of Defense's custody. President Obama's Guantanamo Review Task Force later determined that Hamidullah should be held as a law of war detainee according to government's authority under the 2001 Authorization for Use of Military Force (AUMF). As the task force explained in its Jan. 2010 report, Hamidullah and dozens of other detainees were considered "too dangerous to transfer but not feasible for prosecution." Hamidullah was subsequently approved for transfer by a Periodic Review Board (PRB) in Feb. 2016. The PRB cited Hamidullah's good behavior while in detention, as well as his "age and health problems," as reasons for its decision. The PRB also concluded that Hamidullah "does not support a jihadist ideology" and there was a "lack of clear information regarding his involvement with al Qaeda or the Taliban." However, military and intelligence professionals previously assessed that Hamidullah led a group tied to both Hezb-e lslami Gulbuddin (HIG) and the Taliban that planned multiple attacks against coalition forces in Afghanistan. They also found that Hamidullah was a key HIG commander with multiple ties to the Taliban and al Qaeda's network. HIG has been one of the most duplicitous and adaptable organizations in Afghanistan's bloody history, receiving the support of multiple state actors to achieve its goals. In some ways, JTF-GTMO's dossier for Hamidullah is consistent with what is known about the career of the HIG's founder and leader, Gulbuddin Hekmatyar. Hekmatyar first earned international infamy during the jihad against the Soviets in the 1980s. During his time in American custody, Hamidullah admitted to being a member of the HIG since the early 1980s. Multiple sources confirm that Hekmatyar and his men were favored by Pakistan's intelligence service. This became controversial for the CIA, which worked closely with Pakistan's Inter-Services Intelligence (ISI) Directorate to fund, arm and train the mujahideen. Former CIA officer Milt Bearden helped oversee America's shadow war in Afghanistan. In The Main Enemy: The Inside Story of the CIA's Final Showdown with the KGB (coauthored with reporter James Risen), Bearden described his meetings with Hekmatyar. Bearden noted that Hekmatyar refused to meet with President Ronald Reagan during a high-profile show of support for the Afghan war. Bearden characterized his encounters with Hekmatyar as tense. Of all the mujahideen leaders he dealt with, Bearden wrote, only Hekmatyar would "count as an enemy, and a dangerous one." Bearden continued: "And, ironically, I would never be able to shake the allegations that the CIA had chosen this paranoid radical as its favorite, that we were providing this man who had directly insulted the President of the United States with more than his share of the means to fight the Soviets." Whether the CIA was reluctant to partner with Hekmatyar or not, Hekmatyar and his men did benefit from American support, receiving shipments of Stinger missiles that proved crucial to the anti-Soviet effort. According to Bearden, one of Hekmatyar's commanders led the "Stinger team" that brought down the first Soviet MI-24D helicopters in Afghanistan. In the end, Bearden claimed, Hekmatyar was disliked by both the Americans and the Soviets, with the latter spreading disinformation about Hekmatyar's exploits. More conspiratorial accounts tried to portray Hekmatyar as some sort of double agent for the Soviets all along. Hekmatyar's group was supported by Pakistani intelligence through the early 1990s. By the middle part of the decade, however, the Taliban was ascendant. After briefly serving as Afghanistan's prime minister, Hekmatyar lost the struggle for power. The Pakistani establishment preferred Mullah Omar's extremists for its own reasons. Hekmatyar decamped for Iran in the mid-1990s, staying in the mullahs' country for the next several years. Hekmatyar opposed the US-led invasion of Afghanistan in late 2001. The Iranians eventually "expelled" him in 2002. The CIA quickly tried, and failed, to kill him in a Predator drone strike that same year. Like Hekmatyar, Hamidullah first fought in the war against the Soviets, spent time in Iran, and allegedly returned to the fight in Afghanistan after the US-led invasion. The intelligence contained in JTF-GTMO's leaked assessment provides important clues as to how the HIG evolved over time, including the support Hekmatyar's men continued to receive from Iran. The most important allegations in JTF-GTMO's threat assessment concern Hamidullah's suspected ties to Iran. JTF-GTMO's analysts described Hamidullah as an "agent of the Iranian Savama (Ministry of Intelligence and Security)" who was "closely associated" with the Taliban, the HIG and al Qaeda. While in US custody, Hamidullah denied that he was member of the HIG from late 2001 onward. But JTF-GTMO concluded he was an active HIG commander at the time of his capture in 2003. 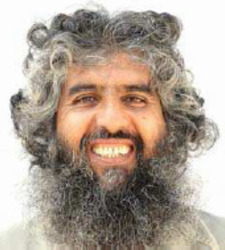 JTF-GTMO described Hamidullah as "one of the most significant former Afghan HIG members detained" at Guantanamo because of his extensive involvement in anti-Coalition activities. Afghanistan's National Directorate of Security (NDS) identified him as a HIG "commander�closely connected to Gulbuddin Hekmatyar." The NDS also reported that Hamidullah "was responsible for explosions" and "murdered 71 people." HIG wasn't the only terrorist organization Hamidullah served, according to JTF-GTMO. Intelligence reports cited in Hamidullah's file demonstrate a high degree of coordination between the various insurgency groups, including al Qaeda, as well as the intelligence services that support them. While the Guantanamo PRB would later characterize Hamidullah's ties to the Taliban and al Qaeda as suspect, some of the intelligence appears to be concrete. "In mid-February 2003," JTF-GTMO noted, Hamidullah "communicated with other commanders and al Qaeda elements in Afghanistan and Pakistan using a Thuraya satellite phone." The post-9/11 story pieced together by JTF-GTMO analysts begins in January 2002, when Hamidullah and his father (described as a "HIG leader") left Meshad, Iran - a common transit point for al Qaeda and Taliban fighters - for Kabul. They allegedly did so at the behest of Iranian intelligence. Upon arriving in Afghanistan, father and son "stayed with Iranian supported warlord Ismail Khan." Khan, a longtime mujahideen commander, had fled the Taliban's Afghanistan for Iran in the 1990s. He returned to Afghanistan, became of the governor of the western province of Herat, and eventually assumed the title of Minister of Water and Energy. Khan's relationship with Iran is well-known, but he has repeatedly tried to portray it in the best possible light, downplaying any nefarious implications. However, if the intelligence cited in Hamidullah's file is accurate, then Khan's Iranian ties deserve reexamination. In December 2005, more than two years after Hamidullah was captured, representatives of Khan reportedly "met with two Pakistanis and three Iranians to discuss the planning of terrorist acts and to create better lines of communication between the HIG and Taliban." In Kabul, Hamidullah also reportedly stayed with his "close friend and fellow HIG operative," Mullah Ezat Ullah, who was an "Iranian intelligence affiliated Taliban sub-commander in Kabul responsible for many terrorist attacks against coalition forces." Ullah is "believed to be responsible for the 12 October 2005 rocket attacks on the Canadian Ambassador's residence in Kabul." Hamidullah himself was allegedly involved in numerous terrorist plots. "In early October 2002," according to the leaked JTF-GTMO file, Hamidullah "attempted to smuggle US-made man-portable air defense systems (MANPADS) into the region surrounding Kabul International Airport." Hamidullah "attempted to recruit a HIG member to transport missiles to the airport for an attack against Hamid Karzai's presidential aircraft." That same month, Hamidullah planned "attacks against US helicopters using multiple Chinese MANPADS acquired by Hekmatyar" and plotted "a coordinated attack with Taliban operatives to assassinate" a moderate Afghan cleric. It is not clear what came of all these plots, but the intelligence reports clearly indicated that the Afghan insurgency groups worked in concert. "Reporting from November 2002" indicated that Hamidullah "attended monthly meetings between HIG and Taliban members to discuss future operations." The Taliban's former deputy minister of agriculture reportedly attended these meetings. December 2002 reporting linked [Hamidullah] to a Pakistani Inter-Services Intelligence Directorate (ISID) initiative to create an office in Peshawar combining elements of the Taliban, HIG, and al Qaeda. The goal of the initiative was to plan and execute various terrorist attacks in Afghanistan. Members were to attack the foreign headquarters in Kabul in late January 2003. On Jan. 25, 2003, Kabul police officials "recovered thirty BM-12 rockets emplaced by" Hamidullah. "The rockets were part of a HIG plan to attack French military members located at the airport." Several months later, in May 2003, Hamidullah reportedly "led a Taliban-associated thirty-man group which planned an attack against the NDS headquarters." Then, in July 2003, "HIG leadership tasked [Hamidullah] to conduct a suicide attack against US and coalition forces." Hamidullah was captured on July 31, 2003, along with a dozen others, by Afghan soldiers at the home of an al Qaeda financier identified as Raouf Bari. The leaked file cites an Afghan source "with direct access and a reliable reporting history" as saying that Bari's capture would "cut off one leg and one arm of al Qaeda." The al Qaeda money man and his cohorts did not go down easily, however. The raid at Bari's home that netted Hamidullah "was met with resistance and resulted in one dead and two wounded." Hamidullah's capture likely disrupted ongoing plots, according to JTF-GTMO's assessment. He had "requested BM-21 rockets" from Saifullah Rahman Mansour for "a planned attack against [the International Security Assistance Force's] Camp Julien in Kabul." Mansour, who was subsequently killed, is repeatedly described in the leaked Guantanamo files as a Taliban commander backed by Iran. For instance, JTF-GTMO found that Mansour and Gulbuddin Hekmatyar had "received two million US dollars from Iranian sources to provide the HIG operational front money for [anti-Coalition] activities." In March 2002, Time reported that Mansour had become "a new icon" for the Taliban after "his men downed a US helicopter and killed seven American soldiers." Time reported that Mansour was harboring dozens of al Qaeda fighters. The rockets from Mansour were scheduled to arrive sometime during the first two weeks of August 2003. Hamidullah was detained just days earlier. After Hamidullah's capture, according to another intelligence report cited in the file, HIG officials discussed what to do with Hamidullah's weapons cache, including "an unknown amount of BM-12 rockets." Another former Guantanamo detainee, Ali Shah Mousavi, was also suspected of serving as a "liaison" between Mansour and Iranian intelligence. JTF-GTMO's analysts described Mousavi as an "agent of influence for Iran" and the leaked threat assessment for him cites a number of intelligence reports regarding Iran's clandestine network. Mousavi was transferred to Afghanistan in 2006. Under questioning, Hamidullah disavowed any role in Afghan insurgency from 2001 to 2003, including any ties to Mansour. Instead, Hamidullah claimed he was working to pave the way for King Zahir Shah's return to Afghanistan. US analysts and interrogators did not believe his denials, finding his account to be "only partially truthful." With respect to his actions inside Afghanistan, JTF-GTMO found his story to be "fabricated." In addition to "multiple" intelligence reports, part of the reason JTF-GTMO's analysts did not buy Hamidullah's story was his knowledge of key actors in the insurgency. The leaked file several key personalities Hamidullah accurately identified during questioning. All of them were connected to both the Taliban and al Qaeda. One such individual is Waheedullah Sabawoon - the HIG's former intelligence chief who broke with Hekmatyar to join the Northern Alliance in the 1990s. In 2004, Syed Saleem Shahzad of the Asia Times reported that Sabawoon switched sides once again in late 2001 and "called a meeting of about 150 'Islamic-minded' commanders in Kabul to determine the role of Islamic forces in the post-Taliban period." The meeting was raided and Sabawoon jailed, only to be later freed. Shahzad reported that Sabawoon was named Minister of Tribal Affairs because "the Karzai administration felt the need for strong ethnic Pashtun connections to build its power base against the rising popularity of the resistance movement in southern Afghanistan." But the leaked JTF-GTMO threat assessment for Hamidullah references a stunning intelligence report on Sabawoon's alleged activities. "In November 2005," according to the file, Sabawoon "provided [anti-Coalition] fighters with Iranian supplied weapons in the Kunar and Kandahar" provinces. Sabawoon's "associates" are listed as Jalaluddin Haqqani and top Taliban commanders such as Mullah Baradar and the deceased Mullah Dadullah. The leaked JTF-GTMO file for Haji Hamidullah links Waheedullah Sabawoon, Ismail Khan, Saifullah Mansour, Gulbuddin Hekmatyar, Mullah Ezat Ullah, and Hamidullah himself to Iran. The intelligence reports cited in the file cannot be independently evaluated because they are not available to the public. But JTF-GTMO's analysts obviously thought they were credible and important enough to include in the threat assessment. According to JTF-GTMO's assessment in 2008, US officials concluded that Hamidullah was hiding key details. US officials found that Hamidullah's intelligence value was "high" because they determined that he had been well-placed within the Afghan insurgency and knew some of its darkest secrets. Hamidullah's "placement and access provided him with knowledge of many of the key individuals, decisions, and activities during HIG's tenure as enemies of Soviet forces, the Taliban government aggressors against the new Afghan government, the US, and Coalition forces," JTF-GTMO's analysts wrote. Hamidullah "probably has significant information on HIG, Taliban, and al Qaeda personnel still active today," the analysts concluded. A few lines in JTF-GTMO's assessment point to not only Iranian support for the insurgency, but also possible Russian links. The analysts wrote: "Detainee probably has information on Russian and Iranian support to HIG and the Taliban efforts against" the Afghan government. Another of the analysts' lines referred to "black-market weapons networks" and "HIG connections to Russian and Iranian intelligence agencies." The Iranian ties are well-documented in the leaked files, but it is not clear what specific Russian role the American analysts thought Hamidullah may have known about. Regardless, as Hamidullah's and the HIG's story shows, the war in Afghanistan has often made for strange bedfellows.